Bihar SSC Inter Level Exam 2014 Admit Cards are available for Download Now from 22 November, 2018. Download Admit card & Instructions from links given below……Bihar SSC has announced Inter Level Combined Competitive Exam 2014 Dates. Pre Exam will now conduct on 8,9,10 December, 2018. More than 18 Lac Candidates will appear in Exam. Exam will conduct in two shifts & conducted at 800 Centres all over state. 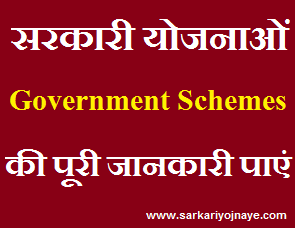 Get Updates of Bihar SSC 12th Level Exam Date Notice from link given below…. With Reference to Bihar SSC Advt. No. 06060114 In Year 2014, Bihar Staff Selection Commission has announced Various Vacancies under Combined Inter Level Exam. 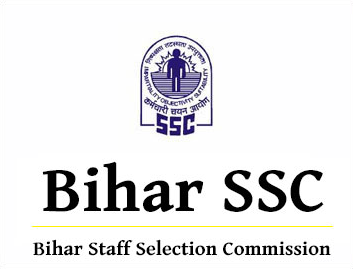 Bihar SSC will conduct Inter Level Combined Competitive Examination for recruitment of 13120 posts. These Vacancies include Posts of Forest Guard, Sub Inspector (Steno Assistant), Sub-Inspector (Steno Typist), Master Instructor (Adhinayak Anudeshak), Panchayat Sachiv, Revenue Worker, Lower Division Clerk (Hindi/ Samahrnalaya/ Kshetriya Sthapana), Stenographer, Junior Account Clerk & Typist Posts etc. Bihar SSC Inter Level Exam Date 2018 : Aspirants applied for Bihar SSC Combined Inter Level Exam, waiting from long for this Exam. As There are ample no. of Vacancies in this Inter Level Exam Notification. This exam was postponed several times before. But Recently Bihar SSC has announced Tentative Exam Date for Inter Level Posts. As Per Selection Porcess, Pre Exam will conduct first. Written Test will conduct in the month of July, 2018. Detailed Bihar SSC Inter Level 2014 Exam Schedule will be available shortly. Bihar SSC will release Combined Inter Level Pre Written Exam admit cards two week prior to exam. BSSC 12th Level Exam aspirants need to have regular watch on official website. Latest Updates will also available on our website (www.govtexamalert.com) also. We will update you when we get any information regarding Bihar SSC Inter Level Admit Card 2018 New Written Pre Exam Date, Updates. Candidates need to fill their details of registration form & date of birth to download their respective admit cards. About BSSC Inter Level Pre Exam 2018 : Inter Level Combined Competitive written Exam comprises of Objective Multiple Choice Type Questions. There will be 150 Questions in Exam, 50 Questions each from General Studies, Science & Mathematics and Reasoning. Time Duration for Exam is 135 Minutes. Negative Marking is also applicable in exam. MUST NOTE : Bihar SSC Inter Level 2014 Exam will conduct with the help of Book. So Candidates can carry book in Exam Hall. Only one Book allowed for One Section. Thus Candidates can carry maximum 3 books along with them. Text Books of NCERT/ BSEB/ ICSE or other Boards will be allowed in the exam. At First Visit BSSC Official website (http://bssc.bih.nic.in/). You can check You BSSC 12th Level Exam Call Letter by entering Details of Registration No. & Date of Birth. Candidates need to fill the right capcha. Bihar SSC Inter Level Exam Aspirants need to prepare well for Written Exam. Bihar SSC 12th Level Exam 2014 Admit Card 2018, Exam Dates updates will available on this Website. Bookmark this Page (CTRL+D) for regular updates. Leave Your Valuable Comments in the Comment Box given here. We will try to answer your query soon. For any assistance feel free to leave an email to disha@govtexamalert.com.